Darwin's Brigands™ are continuing the old bait 'n' switch trick with terminology again. (Again? More like, still.) When you have a discussion with these hijackers of science, you have to nail down your definitions. 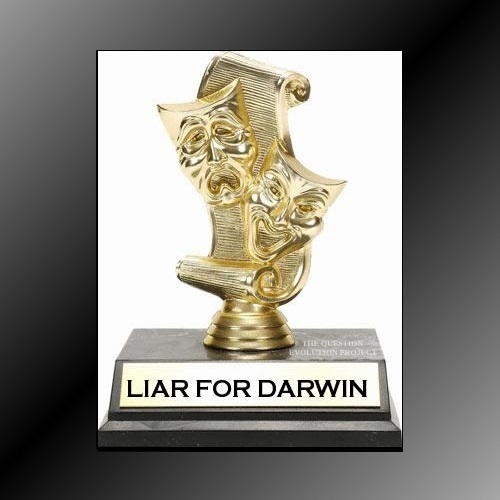 Evolution has many meanings, and when you're talking to someone who believes in scum-to-stalker evolution, watch out that he or she does not point to variation or "change over time" as evidence for his belief system — changes are not evidence that Darwin was right, but they get sneaky by equivocating on the word evolution. Very disingenuous. As in other cases, evolutionists are all het up about a study in the genetics of salivary protein, and the variations thereof. They call it "evolution", but that is nowhere near the truth. Life, the universe, and everything were created. Despite all the efforts of secularists, they cannot change this truth, nor can they change how the facts refute their version of evolution and support biblical creation. The idea that slight changes in salivary protein genetics proves evolution ain't worth spit. They use deceit because the truth does not work. Whether discussing neo-Darwinian evolution, emergent evolution, or extended synthesis, these versions of evolution are all typically defined as simply change over time. Yet this vague definition leaves many unanswered questions. What types of change? What length of time? What causes these changes? Each of these evolution versions is offered as an explanation for the origin and diversity of all life on earth, but examples of mere change offer little insight into the genetic events involved. Only specific types of changes will provide the evolutionary mechanism necessary to account for all of life’s complexity and diversity. To read the rest, click on "Salivary Protein: Evolution or Just Adaptation?"